Travelling advertisers can put in a lot of hours on the road, meeting with clients and closing sales. What if a travelling advertising professional needs an office space when they are in another city, or a business address that looks more professional than a home mailing address or postal box address? Virtual office spaces are perfectly suited to travelling advertising professionals, and there are a number of reasons why a travelling advertiser should seriously consider leasing a virtual office and virtual office services. 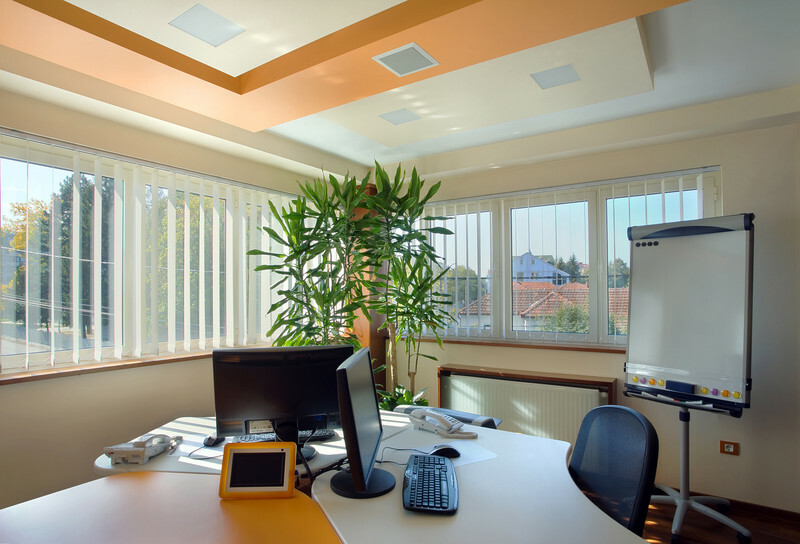 Here are just a few great things a virtual office can provide. For a person who travels often for work, taking phone calls while in the vehicle is the normal thing to do. It does not need to be that way, though. Virtual office services are designed with salespeople and other professionals in mind. Reception services, for example, can give a travelling advertiser the perfect opportunity to meet with more clients. 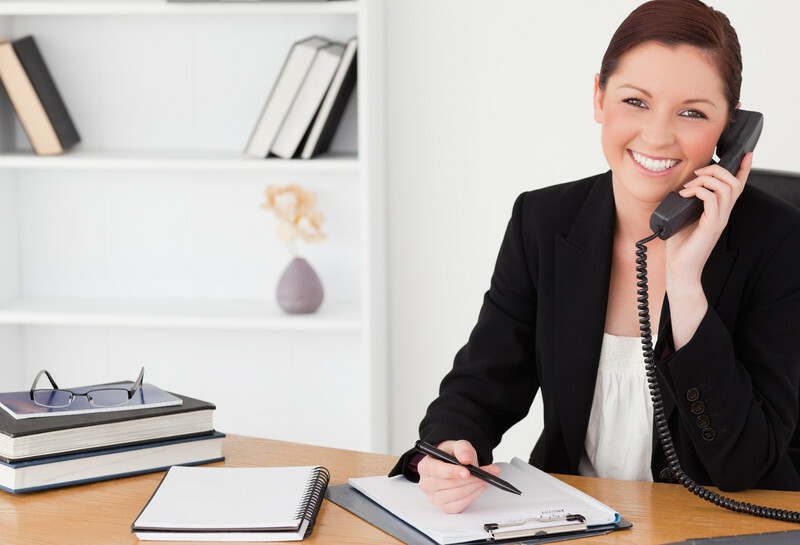 Professional, trained receptionists answer the phone, take messages, and relay those messages effectively. This means the sales professional can focus less on answering the phone and focus more on making sales. Virtually wherever a person needs to setup an appointment with a client, there is an office space nearby. The great thing about virtual offices is that a professional doesn't need to lease their desired office space for months at a time. Virtual offices are available on several different time frames and pay rates, and they are designed to meet the varying business needs of all kinds of professionals. For flexibility alone, a virtual office is a desirable way to enjoy excellent business spaces and services. Oftentimes, meeting in a coffee shop just doesn't cut it. It is beneficial for a professional advertiser to have a classy-looking office space, wherever they are located. When a person is travelling, this can be a challenge. With a virtual office, a person does not need to worry about whether or not they will have a professional office space in which to meet their clients. The benefits of leasing a virtual office far outweigh the reasonable price of the lease. In addition, flexible solutions are available so that everyone can benefit. Furthermore, a virtual office allows the travelling professional to maintain a professional image, with services available such as reception services and a mailing address. One may use the office spaces or just the professional services, which also include faxing, and it's hard to beat the atmosphere of a professional office space. Having a virtual office means no more straining to hear clients in a busy coffee shop. Travelling advertisers work hard; there is no doubt about it. With professional virtual office spaces and services available in countless major cities and hubs around the world, there is no reason why a professional cannot enjoy the benefits that come along with using these services to their advantage. Check out CityOffice virtual office spaces in your area, today. The term ‘Virtual Office’ may be confusing to people who aren’t yet familiar with the service, but a virtual office can be a financial lifesaver for new businesses and a tremendous asset to well established ones. By moving your business from a physical office into a virtual one you stand to benefit greatly from the many services and opportunities provided to you, not to mention the amount you will save on leasing and power bills. Here are three great reasons to move your business into a virtual office. The operating costs of running a business can be staggering, not only do you have to lease an office but you have to worry about telephone, internet and electric bills on top of that. With a virtual office you don’t have to worry about any of those things, they are all taken care of for you. You can save big on supplies as well, printers, desks and chairs and computers are all included. If you want to take your business to the next level and branch out to another city, or even another country, it can be a staggering process. With a virtual office you can feel free to book meetings almost anywhere in the world. We provide virtual offices in almost every major city, from New York to London, to give you the appearance of professionalism and to let you focus on your expansion. There are many businessmen and women who need to travel constantly to take meetings but are never in one place more than once or twice in their lifetime. On the other side of that coin there are plenty of large businesses who need to send representatives to every corner of the world. With a virtual office you never need to worry about having another meeting in a hotel bar or lounge, you can still deal with business in a professional setting wherever you go. If you are constantly on the move then you are doing yourself a disservice by not having a virtual office to work out of. If you have any questions they can all be answered by looking through the information available on our website; if that doesn’t solve your problem you can easily contact a representative who will be more than happy to answer any queries you may still have. Virtual offices provide plenty of benefits for all kinds of people, whether you work from home or have twenty employees, and there is no reason not to take advantage and move your business into a virtual office. It may not seem like an established business, one that already leases physical office space, would be able to find a reason to use a virtual office. Although the reasons may not be immediately clear there are many ways that any established business, large or small, can benefit by using a virtual office. Already having an office does not limit a business from taking advantage of these great opportunities that virtual offices provide. Branching out into new territories is often a necessity if your aim is to grow your business, but the expense involved with bringing your work into a new country often kills any plans of growth before they can happen. With a virtual office you can save money by doing your work remotely when you branch out into new countries, using the luxuries of the office when needed and not worrying about the expense when you do not require office space. Large businesses often need to send employees into new cities to take meetings on behalf of the company. Many times this ends with a representative having to meet with potential new clients in hotel bars and conference rooms. This is a difficult way to appear professional. With a virtual office you can send your employees off to take meetings in a professional environment, keeping up appearances no matter where you need to be. Every business reaches a point where it gets too large for its current state and needs to start growing. 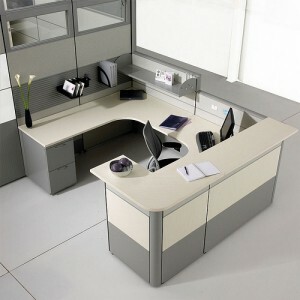 Larger offices are required to expand the size of a business and it can take quite some time to set up. With the use of a virtual office you can expand the size of your business at your own pace, not worrying about running out and leasing more office space immediately. You can use a virtual office for as long as you need for any extra employees or business that needs to be conducted, only committing to a new office space when you're ready for it. Virtual offices are great for all businesses, large or small, new or established, every one of them can gain an advantage by using a virtual office. For large businesses a virtual office can be used to assist in expansion, operating in new countries and for employees that are constantly representing your company when they travel. With all overhead taken care of and buildings located in the most beautiful parts of the largest cities in the world, our virtual offices are ready to go and do not require any work. All you need to do is take the leap and bring your business to the next level. Most people struggle with a job that requires them to work set hours, and report for approximately 40 hours per week. This can be an extremely limiting venture that can have you wondering if there is another answer. While Working from home is superior in many ways to working in the traditional 9-5 setting, a few setbacks should be noted before deciding to make the switch to a virtual office. Ultimately, though, the benefits of working from a virtual office are so much better than the traditional, more limiting work structure. Depending on the specific type of work you are doing from home, you are typically able to make your own hours. If you had a problem getting to sleep the night before and you feel like sleeping in, you can. A virtual office will let you get the sleep you need to perform your best. But the flexibility goes beyond just being able to sleep in; you can also perform other tasks throughout the day that you normally wouldn't be able to. For instance, you can schedule your grocery trips for the mid-mornings and work a little bit later into the evening to compensate. Working from a virtual office means you are not tied to a specific location. If you feel like making a trip to Central America, for example, you can do that with the drop of a hat in most cases. The beautiful thing about working from home in a virtual office is that you can make your home wherever you want (with Internet), and take your work with you. This can be particularly helpful in situation such as the cold winter months (in most people's cases). You can simply pack your bags and go somewhere tropical. Many people find working from home to be extremely challenging. They are often distracted and procrastinate instead of work. Too many distractions could make you unproductive, and that can be a major burden to your financial bottom line. If you are working from a home office for a full-time employer, it could result in poor performance and possibly job loss. Unless you live alone, chances are there will be many people distracting you from your work. If you have enough floor space in your home, it is best to have a designated area where people know not to disturb you. This can be very challenging if you have kids, because they may require your attention, whether you have time for them or not. However, setting up a designated space will help to ensure you aren't being bothered unless absolutely necessary. Working from home is becoming a growing trend, as technology is making it feasible for people in many lines of employment to work from their home base. However, if you lack the proper discipline, or just the type of living environment that is free from distractions, your productivity can suffer. But, in the end, the perks of working in a home office far exceed the risks. Working from home in your virtual office could be the perfect fit. Today's economy is harsh on both newly created and well established businesses alike. If you plan on starting your own company you will need to use your investment funds responsibly in order to maximize profits and make it out of the harsh first year intact. One of the best ways to do this is to use a virtual office for your secretarial, mailing and meeting needs. A virtual office can provide any new company the appearance of a successful business along with these other great benefits. In order to get any new business off the ground you're going to have to take a bevy of meetings with new clients in order to cement connections. First impressions mean a lot and it's hard to impress a potential client if you have to meet with them at your home or a local coffee shop. With a virtual office you can make your business appear to be more established than it is and use the premium office building to take meetings and hold conferences. When a potential connection looks up your business address would you rather have them see your home or a tower in the center of the city? 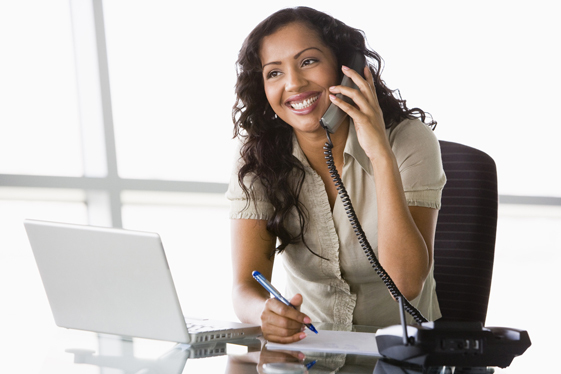 The idea of having a professional secretary is a sought after dream for most new businesses. With a virtual office you can acquire the services of an experienced executive assistant who will answer your phone for you in the name of your company and either patch the call through to you, wherever you may be, or take a message. Additionally you will also receive a devoted mailing address that will sign for and hold any packages you may have, which is a great alternative to using your home address or a PO Box. Whether you're using your own money or the funds of an investor you need to spend your startup costs wisely, especially in the first couple years of existence. Acquiring a full time office can eat away at these funds very quickly. Having to lease an office and then invest in phone service, office equipment and pay monthly power bills are all costs that are unnecessary in today's business environment. All of these essentials are included in some of the many packages offered here for every price range and business type. Today's economy is not very friendly on new businesses and you will need every advantage you can get to survive. Using a virtual office for your new company has too many benefits to ignore for any new entrepreneur, young or old. Being able to have the freedom to travel to and from meetings, in any city or country, while still having a dedicated executive assistant to answer your incoming calls is a luxury that wasn't possible before the advent of the virtual office. As a new business owner you will need every advantage you can get to succeed and using a virtual office is one that's too good to let slip. Visit Your City Office today to learn more about virtual offices. When you sign up for virtual office space from City Office you aren't just receiving a prestigious workplace that can be used when needed to impress clients and save you money on an office of your own. There are many additional services that are included in some of the packages offered, including telephone answering, registered business addresses and virtual personal assistants. Your business will always benefit from using a virtual office and not just in the ways you may have assumed. Telephone answering services are extremely important for a business of any size. If you can't afford a full time employee to answer your phone for you or you're constantly travelling and have a hard time taking calls then one of our professional executive assistants would be perfect. Trained to multitask, our executive assistants will answer your calls in your business name and then screen the calls for you, either taking a message or forwarding the call to your phone, wherever you happen to be. Don't worry about missing calls when you need to leave the city and don't be hassled with spam telemarketers, the executive assistants will save you time while giving your business the professional appearance it deserves. When you first incorporate you are required to officially register an address as your Registered Office Address. Because the Registered Office Address needs to be available to have mail delivered to and packages signed for it is not possible to use a PO Box as your official business address. The only alternative used to be using a home address, which tends to look unprofessional on company letterhead and business cards. With City Office you can use one of our many prestigious locations as your Registered Office Address, using it in a professional manner and having any mail or packages signed for and either held for you or forwarded to your home address. When you start to do business with a new company and they look up your address would you rather have them see your home or a beautiful downtown office building? While our executive assistants are used for telephone answering services there is another option for those who require more support from a virtual employee with a broad skill set. Virtual personal assistants work remotely and are available to offer diary management, data entry, transcription, dictation and book keeping. Virtual PAs are carefully selected for their backgrounds and they all have experience working for multiple corporations and organizations. If needed, under certain circumstances, our virtual PAs are also willing to work on-site to better serve our clients. If you have just launched a business and can't afford a full time employee to handle personal assistant duties or you are expanding and need some extra help, then there is no better alternative than City Office's Virtual PAs. There are plenty of benefits to using a virtual office and they aren't limited to simply having a place to hold a conference, with a virtual office you are given a wide variety of services that can be used to give businesses of any size the professionalism they couldn't afford on their own. If any of these services sound enticing then do not hesitate to contact us today. There are plenty of benefits to using the services that a virtual office can offer, but knowing which package to select can be difficult to determine. There are many things that need to be factored in before choosing a package, from the size of the company to the actual needs of the business. The all-in-one virtual office package is a perfect choice for companies that require more than just physical office space, and it's all at an affordable price. What do Beverly Hills, Madison Avenue, Wall Street, Sydney, Shanghai, Dubai and Paris all have in common aside from being some of the busiest cities in the world? They are just a handful of the many cities that City Office has all-in-one packages available in. This provides a wide variety of choices for businesses that are just starting up or larger businesses that are thinking of expanding into a major territory. The all-in-one package is the easiest way for any business to make their mark on a new region. For more information on the different cities that have all-in-one packages available click here. When launching a new business the first year is extremely important to the longevity and survival of the company. Saving money during this time and spending it where it is needed most can make all the difference between a successful business and one that falls flat. With an all-in-one virtual office package a company receives everything required to appear like a well-established, professional entity to its peers while not spending nearly the amount that they do for the same in-house services. When running a startup business you need to focus your time and energy where it's most needed and an all-in-one virtual office package allows you to do just that. There are many services included with the all-in-one virtual office package that can help a business reach the next level. A prestigious business address for deliveries and stationary, a dedicated phone number with live phone answering by a professional executive assistant and a dedicated fax number are all included in the package. Every one of these services are necessary for a business to be treated as professional by its peers and using these services from a virtual office allows you to have them at the fraction of the cost, not to mention the savings on overhead and office supplies. Everything that City Office has to offer is there to make running a business easier and to remove the stress of having to deal with keeping it functioning. There are other choices beyond the all-in-one virtual office package but that is the only one that can give a company savings on the most sought after services offered. If you have been seeking virtual office services then do not hesitate to get in contact with us about one of the many cities we have office space in. Miami is one of the most exciting cities not just in the United States, but also in the world. Yes, it's very expensive to live there, and it's a very crowded city to be sure, but the beaches, restaurants and attractions in the area make it worthwhile. If you do your work from a virtual office, the great news for you is that you don't have to be tied down to just one location. 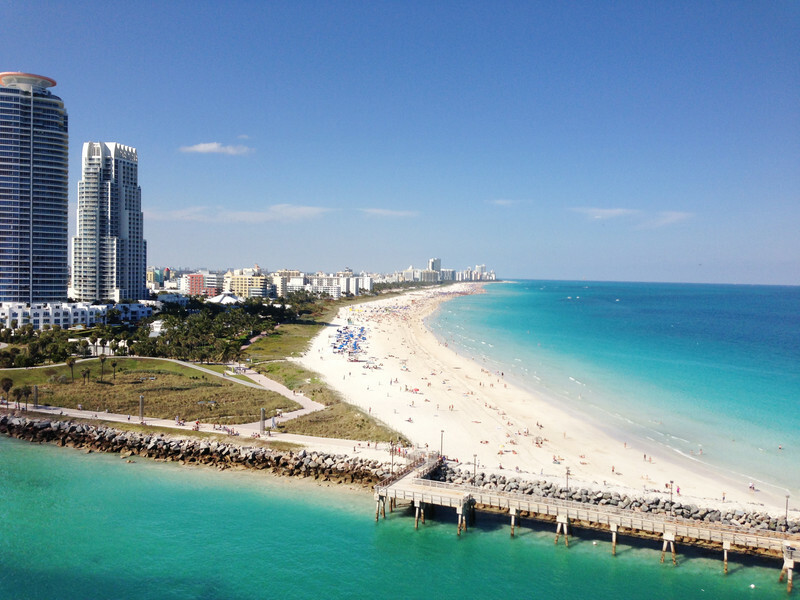 So if you want to move to Miami to enjoy the coastal lifestyle, then you have that option! Here are six reasons to bring your work to South Beach. If you're Working from home in a colder climate with overcast or rainy skies for much of the year--say, like in Vancouver or any other Pacific Northwest city--then you may want to bring your work to South Beach because of the weather alone! Imagine sunny skies with hot weather that will have you believing you're in some tropical paradise. If you want to really immerse yourself in the melting pot of diversity and culture, then Miami is the city for you. The diversity here is really reflected in the city's numerous food and entertainment choices, many of which represent the strong Latin influence of so many of the city's denizens. The food experience in the city is more than enough to make you consider bringing your work to the city. Imagine having such a diversity of eating choices that you can find good food anywhere from low-end food trucks to high-end restaurants. Latin, Caribbean and Cuban food dominates the city. This may be more of a subjective thing, but some people really enjoy hot weather. This is particularly true if they've been living in a colder part of the country--say, the Pacific Northwest--for a long time. Be warned, though: When the weather gets hot in Miami, it gets really humid, too. The beaches in this city are second-to-none, so the water always looks inviting. Just think how awesome it would be to take a quick break from working for a second and then walk a few minutes to the nearest beach just blocks from your home! That is a city feature that few places around the world can boast about. If you love art, then you'll love what the city has to offer. Events like Art Basel Miami Beach are a great place in which to check out various art exhibits. In addition, artsy neighborhoods abound in the city. These are neighborhoods like Design District and Wynwood. These are the six great reasons to bring your work to Miami and South Beach! Since you work in a virtual office anyway, there is absolutely nothing stopping you from moving down to this city if you so choose. Yes, it's a little more expensive, but on the bright side, Miami has eternal sunshine and cultural diversity. After the decision has been made for a business to seek out virtual office space the next question will be inevitable. Which services will the business require in order to prosper? There are a wide variety of packages available, each one with its own advantages. Compiled below is a helpful list of the different kinds of businesses that have a history of using virtual office space and the services that they most often require. City Office operates throughout the world, providing virtual offices globally from all the major cities in Europe to the biggest business hubs in the United States of America. This is ideal for companies that have grown to the point of expansion, launching operations in new markets and foreign territories. The use of an all-in-one virtual office package is the most common one for international businesses; it removes the need to worry about little details so that they can focus on business. From office space to meeting rooms to professional phone services, when starting from scratch in a new market you will need every advantage you can get. The great thing about the world operating in the digital realm is that a lot of business can now be conducted from the comfort of the living room. This makes it a lot easier to start a new business or operate a smaller business more casually and a virtual office can fill in the gaps that your home can't. The most common service used by a home based business is the prestigious address, which is used to appear more professional. Most home based businesses do not use phone services until they have grown to the point where they can no longer handle their own incoming calls, but they still use the mailing services to sign and forward packages. SME's (small and medium sized enterprises) account for around twenty percent of all virtual office clients. The majority of them use virtual office services to attempt to move into new markets or dip their toes in the water of new cities, testing out advertising campaigns and marketing strategies and gauging the results before making any further decisions. For these reasons they usually require the use of an all-in-one virtual office package, although usually for small periods of time and rotating through different cities. If you're operating your own business and are looking into acquiring the services that a virtual office can provide, then all you need to do is match up the kind of business you have with the utilities that are most often required by that type. If you look at the wide variety of packages available and still can't decide which one would be best for your business then you shouldn't hesitate to call and talk to one of our representatives. They will be able to quickly talk you through the advantages for each option available to you; from there it's simple to match you up with a virtual office in the city of your choice. Virtual Office services are often associated with many of the most common business types: international businesses, home based businesses and small and medium sized enterprises make up a large percentage of the virtual office clientele. However there are plenty of other, often smaller, business types that can easily benefit from the services that a virtual office can offer. Sole Proprietors, start-ups and even local corporations all have a history of using virtual office space and services to assist in the growth of their businesses. Here are the most common packages for each of them. A sole proprietorship is a kind of business where there is absolutely no legal distinction between the individual and the business. To be a sole trader there must only be one owner, it is high risk but also high reward. Fortunately it doesn't have to be as much of a gamble as it seems, because many sole traders reduce the risk by using telephone answering solutions and mail forwarding services. Being able to pick up mail from a dedicated address and have business calls forwarded to a mobile phone are huge blessings for sole proprietors. Start-Up Businesses make up the largest demographic of virtual office clients and with a very good reason. Leasing office space, and the additional costs associated with it, is probably one of the most burdening expenses to a new business. Start-up businesses often take advantage of the physical office by using the conference rooms to take meetings in, appearing as professional as their longer running, more established rivals. They also like to use the professional executive assistant services to take and coordinate their calls, saving them the time and money needed to hire a full time secretary. Corporate businesses aren't usually associated with virtual offices because they tend to have their own office space and a long list of employees to handle phone, mail and assistant duties. However, these local companies still use all-in-one virtual office packages when they need to temporarily branch into new markets to generate interest in their product or service. The all-in-one package is perfect for this as it provides everything a business needs to get started from the ground up, from a physical space to hold meetings to a local receptionist to handle calls while the corporate representative is in town. Most of the time these corporations look into the availability of physical office space, on a temporary basis, at the virtual office location. There are many different types of businesses and every one of them can find a way to use virtual office services to their advantage. Whether it's an all-in-one package to liaise with a customer base in a new market or a basic virtual personal assistant service to help those flustered new business owners, there is a package for everybody. If you have been debating the use of a virtual office and aren't sure what can be done for you, simply click here to visit the Your City Office front page and click on the telephone icon on the top of the page to be instantly connected with a representative. Together we will find a package that will put a smile on your face. Virtual offices aren't just physical spaces you can rent out when you require a meeting place or a conference room. They supply additional services that are necessary but can also be done virtually. Both receptionist duties and personal assistant duties can be done in today's world by remote workers, with no reason to ever actually meet the employees. Because virtual personal assistants work from home they can work for several employers at the same time, making the cost per employer lower than it would be. Using a virtual personal assistant also saves on the costs of a physical office space. Every year as technology advances, the world becomes more and more connected. As it changes there are more people working from their own homes and accomplishing the same amount. Personal assistants are no different and they can accomplish all of their duties from home, taking calls and coordinating work schedules without their bosses ever noticing a difference. Because the majority of assistant duties are done on the phone and through email, it makes it the perfect job to do be done remotely. Some employers require an employee to manage schedules and book meetings all while handling phone calls and taking care of diaries. For those people a personal assistant is exactly what they need, but other employers only need the basic phone services to be done. For those who need someone to answer their business calls, take messages and connect the calls when required, then a professional receptionist is what they want. There are many problems that can arise when a company or individual has enough work that they need a personal assistant, and the main issue is always money. A full time employee is a luxury for most people and that's where virtual offices come in. Through a virtual office anybody can get a professional level personal assistant at a fraction of the cost, getting all of the perks with none of the risks. Whether you have just started a business and require an extra hand or you're a freelancer who is starting to get more work then you can handle on your own, you can benefit by using the services of a virtual personal assistant. There is no reason to hire an extra employee, something that can end up costing you more money than it's worth, when you can get the same services for a fraction of the cost by hiring a personal assistant who works remotely through a virtual office. While working in a virtual office can be of great benefit since you can avoid rush hour traffic and the need to dress up, it can also lead to a lack of enthusiasm on those days when you're not so busy. 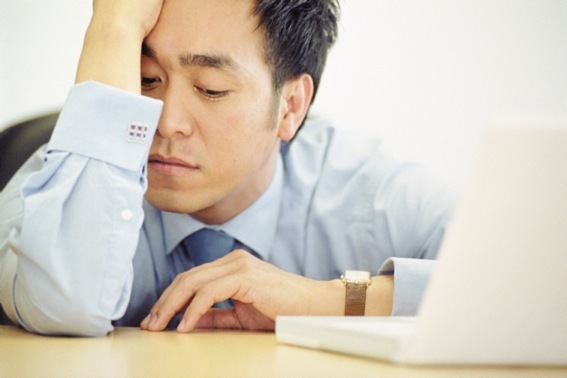 If you're experiencing lethargy in your virtual office, here are some tips for how to rev up your daily routine. Much like any kind of routine, being in the same space all the time can get claustrophobic - and may automatically lead to boredom or a lack of excitement in approaching your job. In a virtual office you're not really chained to your desk, and with modern technology you have the opportunity to take your office almost anywhere you want to go. You could take your laptop outside to get a change of atmosphere or even try getting out to a coffee shop if nature alone doesn't stimulate you. Since Wi-Fi is available nowadays at most cafes, you can use the hubbub to stimulate your mind and renew your focus on the tasks at hand. As a virtual worker, you probably work by yourself in your own home office, but you still have the option to reach out to those who may be experiencing the same virtual office malaise as you. You could combat this by starting an online group for virtual assistants and other virtual job types that will give you the opportunity to share your experiences with other people that are working in the same environment. Not only will this provide you with new friendships and new ways of dealing with the potential boredom, it will also make you feel like you're part of something even as you sit in your home office. As a good measure, you might want to try organizing morning chats with a group of virtual workers as this even has the potential of motivating you! As approaching your virtual employee status as a real job will enable you to be successful at it, you'll also want to make sure that you take the required breaks so that you don't get exhausted too early and suffer from burn out. With so many companies in on the trend of daily exercise, you might want to think about setting up your very own recreation area close to your office so that you can do stretches or exercises throughout the day. This will get the blood flowing and help you stay focused. As another great part of being a virtual employee, you can probably even go for a run in the middle of your day without having to get out of bed at 5 am to squeeze in a pre-work workout! While the isolation of working in a virtual or serviced office can sometimes be a challenge, there are things you can do to maintain your focus and stave off boredom. Whether you decide to join an online group or you just get out of the house for a while, you can defeat the boredom that often comes with a virtual office environment. City Office offers many great virtual office services, and although they are all helpful, one of the best is the dedicated business address. One of the biggest hurdles facing start-up businesses and sole practitioners is deciding on a place to conduct business, with many business owners being forced to hand out their home addresses to prospective clients and partners. One of the advantages of a virtual office is having a business address that can be used in these situations, allowing small businesses to appear as large and professional as their competitors. As far as business addresses are concerned, there are very few options available for small business owners who operate out of their home. The majority of them use a PO Box in order to avoid giving out their home address, but PO Boxes are not capable of receiving large packages or shipments, which means they are not ideal for anybody who needs to conduct a lot of business through the mail. Using your home address allows you to sign for packages but comes with the downside of having your business life forever associated with your personal one. With a dedicated address at a virtual office you can have all your mail signed for and held at the physical office space, without any worry of giving away your home address. The address can be used for more than just collecting mail. Meeting with business colleagues and clients is important and being able to send them to a prestigious building in the core of your city can greatly increase how they perceive you professionally. First appearances mean a lot when a client is making the decision about whether or not to do business with a company and their impression will be a lot different if your first meeting is in a local coffee shop. Being able to fill out official correspondence, like letterheads and business cards, with a top-of-the-line business address also helps make a young company appear more established. When you first become incorporated you are required to register your business to a physical address for legal and government documentation. City Office offers business addresses in almost every major city around the world; the result is an unparalleled list of regions where a new business owner can register with a City Office address. One of the major advantages of using a registered office address is that your company can be presented as having been established in any one of largest business hubs across the world. Any legal or government mail that arrives at your registered address will then be forwarded to your home so that it is received by you immediately with no waiting period. Anybody who starts a new business will need every advantage they can get to overcome the obstacles facing them in those early stages. With a dedicated or registered address a company can appear larger than it is, have packages held and delivered, list the prestigious address on professional correspondence and not have to worry about associating their business with their home address. 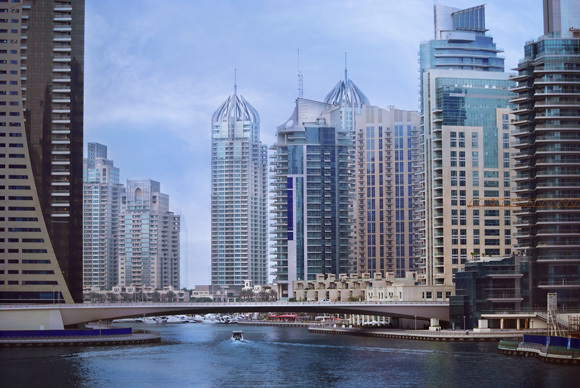 If you are interested in obtaining a dedicated address at one of our virtual office buildings, all you need to do is call and speak to one of our representatives. Together we can match you up with an address to suit your needs in the city of your choice. Every day more and more businesses are making the decision to operate as virtual workplaces, opting out of the costs that are associated with running a physical office. With the recent advances in technology there is almost nothing the average employee can do from an office that they can't do from their own home. Working from home saves employees the money that they would spend commuting to and from work and also allows them to get more sleep in the morning, with the option of still going into a virtual office when necessary. This keeps them more alert and happier and as a result they become more effective when they sit down to work. How Popular Is Telecommuting Becoming? The Society of Human Resources Management (SHRM) recently polled HR executives at leading companies that operate around the world and 43% of them have said that in the next five years we will see a significantly larger portion of the workplace telecommuting. In a study on American workplaces in the last five years, Nemertes Research found that there has been an 800% increase in virtual workers over this time period. As larger companies start to get a better understanding of technology they are realizing that a surprising number of employees do not need to work from an office. With more employees working from home the businesses can downsize offices, using virtual office services when larger spaces are necessary. Physical offices limit the range of hours that employees can work, nobody likes staying at the office for stuff that needs to be done into the later hours of the night. This same problem isn't that big of a deal when the employee is working from home; most telecommuters aren't as affected by changes in their schedule as other workers are. Companies have more freedom to stagger employee hours to deal with issues that can only be dealt with at non-peak office hours, without having to pay out overtime or deal with an unmotivated employee. When employees telecommute it results in a smaller physical office space needed by their employer, if one is even needed at all. The costs associated with running an office are large, everything from the lease and electric bills down to phone lines, internet connections and office supplies both large (computers, printers) and small (paper, stationary) need to be paid for. When employees work from home or via a virtual office all of these costs are removed, saving businesses a lot of money over the long run. Although there are businesses that obviously can't transition into a virtual office, there are many that can. The amount of companies using virtual offices increases every year and even the ones that aren't making the change still have employees telecommute. When you sit down at your desk you should ask yourself, "is there anything I'm doing here that I couldn't be doing from home?" The answer may surprise you. 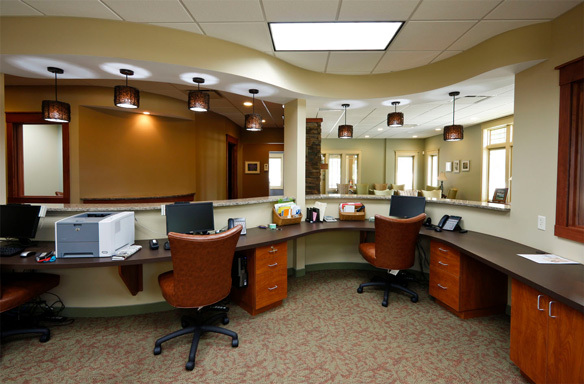 For more information about our virtual office services, click here! Virtual offices are a great resource for business addresses and phone answering services, but one of the lesser known perks of a virtual office is the meeting room. Meeting rooms are available at the majority of our locations, being used by small or local businesses when they require a professional space to conduct business in. With tea and coffee supplied to your guests at no extra cost and stationary available upon request there will be no reason to worry about any of the small details, instead you can focus on your big meeting. All the rooms have internet access, Wi-Fi connectivity and video conferencing capabilities and can be prepped in advance with photocopiers and printers. For start-up companies it can often be illogical to invest in fancy office space before the business has established itself. This can be a problem when the time comes to start meeting with potential clients, partners, or investors, as talking in a living room or a coffee shop doesn't exactly fill the person across the table from you with confidence. With a meeting room at one of our prestigious locations you can conduct business in a professional atmosphere and make a big impression. Every location is fully staffed with on-site management and a manned reception area to help with any questions you have and to make you as comfortable as possible for your meeting. Having a receptionist at the front desk also helps with the positive image you are trying to project to your business partners or clients. 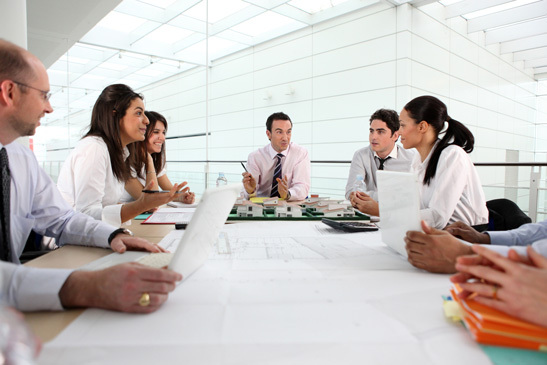 Meeting rooms aren't the only large areas that we have available, we also offer training rooms and conference rooms at specific locations for the situations that require more space. Although the meeting rooms are nice and spacious the training rooms are better suited for when you need to deal with a large group of employees. This is especially helpful if all of your workers telecommute and you need an occasional space to organize them all into one area. Meeting rooms aren't just for customers with an active account, all the rooms can be rented out on a case by case basis for people who don't require the other services that a virtual office provides. 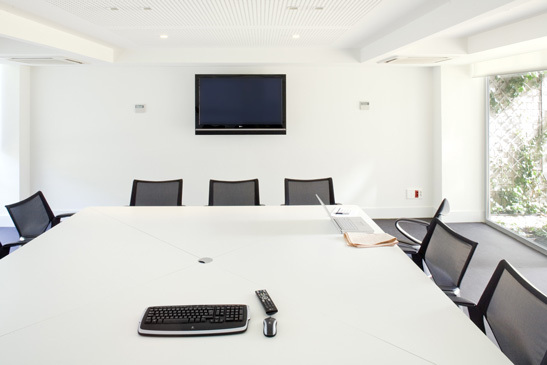 If you have the need of a meeting room then contact one of our representatives today and we can let you know if we have an available meeting or conference room in your area. As a budding entrepreneur, your business is important to you. Seeing it grow is a major priority. In the quest for funding, acquiring a business loan is often one of the best ways to finance your operations, or get through a particularly difficult period. When applying for a business loan, though, you need to convince your lender that you will be able to repay what you owe. Having a virtual office can help you to secure the financing you need—here's how. If you are a business owner looking to expand into a new geographical area, a lender may be reluctant to provide you with a loan for a brick-and-mortar office space. Commercial spaces cost a great deal, and unless you already have a strong client base in the area to which you are looking to expand, buying or leasing a building can be a major risk. Given the amount of capital required and the risk involved, a lender may feel uncomfortable giving you the loan you need. A virtual office is a far less significant investment. When you opt to do business from a virtual office, you save a bundle on your overhead costs. You are not responsible for property taxes or administration fees—you pay your company's rent to the virtual office provider, and that is the end of your financial obligation. Thus, a virtual office is far less of an investment on your part. Having a low overhead cost means you keep more of your revenues, which means you are more likely to be able to pay your loan. Thus, lenders will see you as less of a risk because you have a higher profit margin. If you have been working out of a home office, you may struggle to be approved for a loan. Many lenders require borrowers to have references, and you may not have built up such references if you work from home. 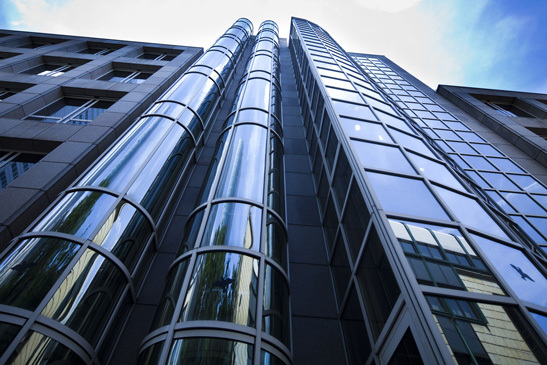 Even if you rent your primary residence, commercial and residential tenancies differ in myriad ways, so a residential landlord is a less than ideal reference when applying for a business loan. In contrast, a virtual office leasing company can act as a strong reference for you when you apply for your loan. Your virtual office provider can attest to the fact that you pay your business' rent on time every month, which is exactly what a lender will want to hear. Working from home has many benefits, but one major disadvantage arises when you apply for a business loan. When evaluating your application, a lender wants to see that you are credible. A lender wants to see that you are serious about making your business succeed. 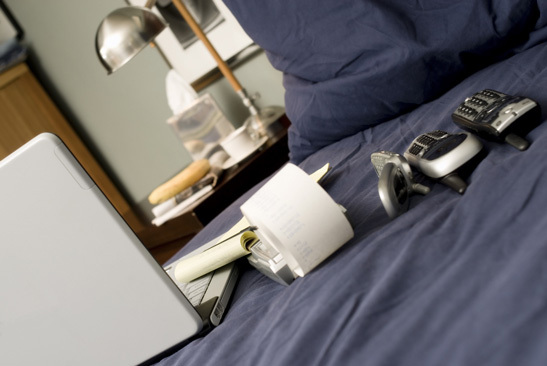 If you work from home, you have few financial resources invested in your business. By renting space in a virtual office, though, your lender will see a corporate address and corporate contact information. It is then clear to the lender that you have invested something valuable into your business, with the hope that you will receive a larger return. The fact that you have skin in the game serves as evidence that you will be responsible and dedicated; it demonstrates that you are committed to your business and that you want to maximize your returns on your investment. Having a virtual office proves to lenders that you take yourself and your business seriously, which means your lender can take you seriously, too. Acquiring a business loan can be difficult in the present economic climate, but for many business owners, getting funding can be the difference between success and failure. A virtual office can demonstrate to lenders that you are serious about succeeding, that you know how to manage money, and that you pay your bills on time. To a lender, this all makes you less of a risk—and a more likely candidate for a business loan. As an entrepreneur, you have a great deal of freedom. While you still have to earn enough money to live on, new communication technology means you can take your work on the road with you. This line of work is perfect for those who love travelling, but in order to keep your business flourishing, you need to be disciplined. After all, if you aren't able to get the work done, you will find that your happy-go-lucky lifestyle is short-lived. 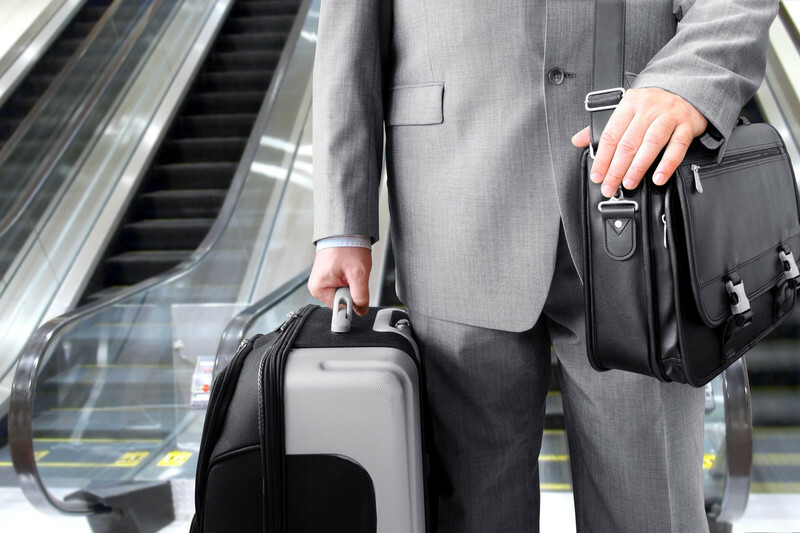 Here are the four habits that successful suitcase entrepreneurs cultivate. If you are a suitcase entrepreneur, you very likely conduct the majority of your business online. The Internet needs to become your constant companion, your best friend, and you wouldn't leave your pal at the airport. Before arriving at your destination, ensure that you will have a good Internet connection for you to conduct your business. You may be surprised at how good the Internet connection is at the vast majority of countries throughout the world, even in developing nations. When in doubt, ensure that there is at least a nearby hotel or library, for example, with a solid Internet connection. North American phone companies charge a fortune to use their services internationally. Viewing a single webpage from your smartphone can cost up to five dollars in some cases. To ensure that you aren't spending a fortune to have an Internet connection, have your phone jail broken. This can cost anywhere from $25 to $100, depending on the phone company you are with - but it will be well worth it. After your phone is jail broken, you can get a SIM card from the country that you are staying in. Chances are, this won't cost very much. In Costa Rica, for example, a SIM card costs about $10 to place into your phone, and Internet costs about $5 every 10 days. This will allow you to have constant access to email and Internet, as long as there is service in your area. After unpacking your suitcase, you will likely want to explore the area around you. The number of sights and sounds could be mesmerizing, and you'll want to spend a lot of time exploring. However, you still need to work. It is often best to designate a certain time for work activities. This is often dictated by the time zone you are in, compared to the time zone of people you are working with. 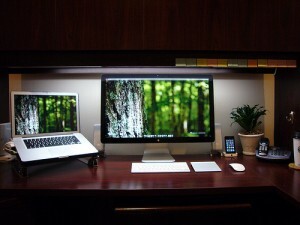 However, if you have some flexibility, you could designate the nighttime, for example, to working. The closer you are to the equator, the earlier night falls (depending on the time of year). On the equator, night comes at about 6 p.m. every day of the year, so that could be a perfect time for you to start working while not being distracted by the sights and sounds. While you may be tempted to trot the globe at a rapid pace, it is often a good idea to get settled for at least a week so that you can be productive. Traveling can take a lot of time and energy, so it is important that you are settled for a reasonable amount of time so that you can get enough work done to fund your suitcase lifestyle. Being able to travel is one of the top goals of many people. If you have a virtual office, you won't be bogged down by the responsibility of having to report to a traditional corporate office for many hours of the day. While this lifestyle may seem like a dream for many people, it is becoming more of a reality, thanks to the growing ability of people to connect to the Internet from all over the world. Getting business moving while using a virtual office will require a lot of trial and error, but it is important to try many options to ensure you aren't missing out on a major revenue-generating tactic. However, there are several sources that have traditionally been the best places for you to draw business when using a virtual office. Essentially, you want to target your prospects in their own domain. Fortunately, online advertising platforms have made it easy for you to select who is exposed to your marketing efforts. But before you go out posting ads, it is important that you establish yourself, so that people can get an idea about your credentials. A website is the best way to get people familiar and comfortable with the services that you offer. You want to ensure that you have a call-to-action button near the top of your home page, so that those who are viewing your website are encouraged to contact you for services. This can greatly increase the amount of conversions you get from the potential clients that are viewing your website. The website also allows you to let the potential clients know who you are and what you have to offer. It is a chance to put your skills on display. The great thing about advertising on Facebook, Google and LinkedIn is that you are able to target those who you believe are most likely to become your next clients. Facebook ads allow you to specify the type of people who will see your ads by featuring an option in the ad-building program that can include prospects who "like" certain pages. The same type of specification is provided with Google AdWords, but with that medium, the ads are specified to those who type certain keywords into Google. LinkedIn has a more specific feature, as you can target people who work for specific businesses. Furthermore, those on LinkedIn are often on the site to do business, so this is a medium that can result in high conversions. While a website can do a lot to encourage potential clients to contact you, a landing page can be of even greater benefit and can result in a higher conversion rate. A landing page can be developed from a template with relative ease, and companies will create your landing page for you and charge you a rate when you reach a certain level of impressions. This means you are only paying if people actually view your landing page. While attracting business to your virtual office can be challenging and sometimes discouraging, with enough persistence you will likely be able to get clients by using these online methods. You will need to spend some money to advertise, but these options only require you to pay if people are viewing your website. That could result in a high return for the amount of money you are putting into your business. 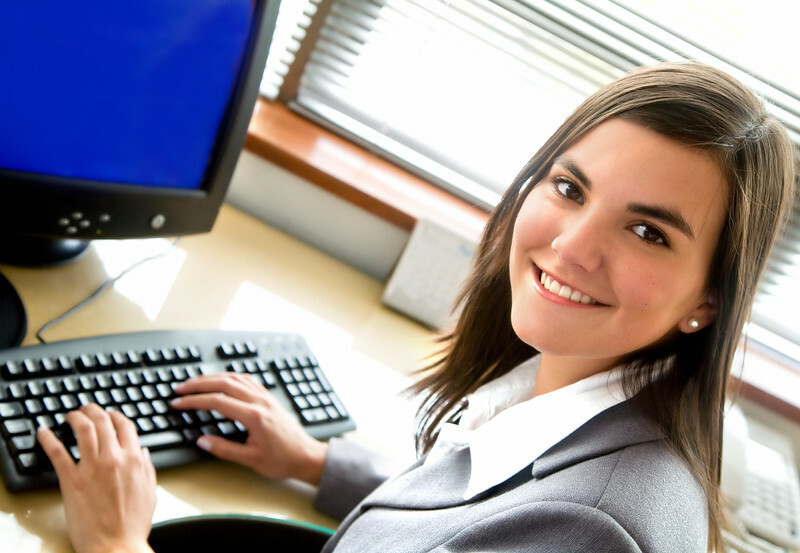 Secretaries, receptionists and personal assistants are all extremely useful employees. Unfortunately, that level of value comes with a price and it's one that the majority of start-up businesses can't afford to pay. The City Office telephone answering service is the perfect alternative for small businesses that require a professional executive assistant to answer their phone line but are not large enough to justify hiring somebody. It will be impossible for anybody who calls your business to tell that the person answering your phone line is not a dedicated worker under your employ. The phone line is answered in your company name and then the calls are either patched directly through to you by the receptionist or a message is taken and sent to you by your chosen mode of contact. They can be forwarded by SMS, email or even fax so that you can receive messages no matter where you are. You can feel safe to travel anywhere in the world for business knowing all of your calls are being answered. There are two different types of telephone answering services. The first one is available during the standard business hours, running Monday to Friday from 8:00 am to 7:00 pm. This option is ideal for businesses that only operate on the standard workday schedule and do not expect to be receiving calls on weekends. However, for start-ups that need more flexibility, the second option is the 24/7 call answering service that makes sure all bases are covered and no calls go unanswered. Although a lot of businesses have moved beyond faxing there are still many instances when it becomes a necessity. Obtaining a fax line and a personal fax machine is a large investment, especially for a smaller business, and one that is no longer required. With fax to email services from City Office, you will receive a fax number that you can send out to any of your clients or business partners. When a fax is sent to the number our sophisticated software converts the data into a PDF and emails it immediately to the address you provide. It's an incredible opportunity to have your own fax services without ever having to leave the home. Telephone answering is the most popular service that is offered by virtual offices, and with a very good reason. It's a simple and affordable way for anybody to have a professional receptionist work for them around the clock, every second of every day. Not having to worry about missing a call is usually a luxury only afforded to large businesses, but these services make sure that even the newest entrepreneurs have that chance. Contact us today if you are interested in getting more information about our telephone answering services and one of our representatives will be more than happy to answer any questions you may have. 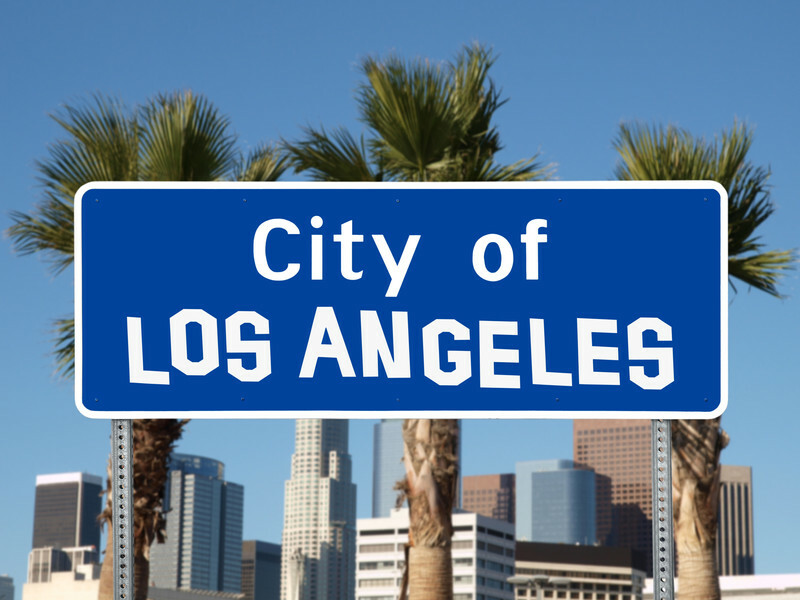 Los Angeles - the city of angels - the hub of the U.S. entertainment industry, the creative capital of the world, and, home to some fabulous virtual office buildings. For contemporary businesses that have embraced this era of remote work and virtual offices, the city of angels is a great place to be. Here's a look at just a few of the virtual offices that L.A. has to offer. Woodland Hills is a scenic district in the South Valley, which is home to a number of important commercial addresses including the Warner Center commercial zone. Harry Warner of Warner Brothers Entertainment first purchased a thousand-acre lot here during the Great Depression, and that lot has now become a major center for financial and other corporate offices. For startups, workers on the go, and any type of modern business looking for a home in the hills, Woodland Hills might be the perfect fit for you. In the area you'll find plenty of trees and parkland, as well as popular shops and restaurants. Virtual offices here come complete with access to conference rooms, serviced office space, copy rooms, and an on-site cafe. Outside of Hollywood, Beverly Hills is probably the most famous part of L.A., and Wiltshire Boulevard is the best-knows street in Beverly Hills. With an office in Beverly Hills, you can do business from one of the most sought-after addresses in the world. Imagine having Christian Dior, Ralph Lauren, Giorgio Armani, and Louis Vuitton as neighbors. Here, you'll be right in the middle of America's top high fashion district, and also be within close proximity of the famous Four Seasons Hotel. The building itself is a modern, class "A," three-story structure, which features state-of-the-art IT and telephone systems as well as 24-hour security and CCTV. There is also an excellent contemporary restaurant on-site, as well as great parking facilities for tenants and visitors. If you want to be in the thick of the action, downtown L.A. is the place for you. The Gas Company Tower on West Fifth Street is one of L.A.'s most recognizable buildings. It is also the fifth tallest building in the city, and the winner of several architecture awards. Way up on floors 30 and 31, boasting stunning views of the city below, you'll find virtual offices which include services such as copy rooms, kitchens, conference rooms, and an on-site cafe. Here, you'll have 24-hour access to the building, plus you'll benefit from round-the-clock security and concierge service. In addition to its place in the world entertainment industry, L.A. is also a hub for a number of other sectors including financial institutions, aerospace, technology, petroleum, fashion, tourism, and manufacturing. Whatever business you're in, L.A. is a great place to establish connections and build your brand. Just imagine how different your brand would look with an address on Wiltshire Boulevard or in the Gas Company Tower in downtown L.A.
Having the ability to work from home is a dream that is shared by everybody who has ever gotten stuck in morning traffic or had to commute for over an hour to and from the office. For people who have taken their first freelance job or have been allowed by their company to start telecommuting, the transition can be a difficult one. The hardest aspect to get used to when Working from home is being productive while remaining in the home environment. Thankfully, there are steps you can take to help ease into your new life as one of the lucky people who get to work from home. Working from home is great, but it does take a while to get used to. Usually when you're at home you're automatically in a relaxed state, having just gotten back in from a long day of work. This will work against you for the first few weeks of working from home, but you can counteract this effect by setting yourself a strict work schedule to adhere to. Another trick is to wake up at the same time you would normally wake up to commute to work; if your mind is used to having an hour or two between waking up and starting to work then you may need to give it the same amount of time before you can really be productive at your home office. One of the greatest perks of working from home is that you can take as many breaks as you would like and at any time of the day. This can become a bad habit if you're not careful, but it can also be very refreshing and can keep you focused throughout the workday. Taking a quick walk for some fresh air can clear your mind and help relieve any strain your eyes might be feeling from staring at your computer screen all day. Unfortunately, working from home still comes with the same stigma it always has. Most people feel that if you can make your own schedule then you are your own boss. In most cases, this is not true and even if you are your own boss you still have work that needs to get done. The best thing to do is sit down with your family and friends and explain to them that working from home does not mean that you are free to run errands, take time off of work to pick up the kids or do any number of chores that you might do when you are not working. Although working from home gives you more freedom regarding how you can spend your work time, this doesn't mean that you're not at a real job and getting your family and friends to understand that is important. Going from working a regular job to working from your own home is not an easy switch to make, especially with the amount of distractions around the house. With a strict work schedule and the understanding of friends and family members, you shouldn't have any problems becoming extremely productive in your new environment. There are many bumps on the road when you start a new business and how you handle these obstacles can determine whether or not you make it through that first year. Of course it doesn't have to be hard, and many of these issues can be avoided by using the services offered by a virtual office. Below are some of the most common problems faced by start-ups and the solutions we offer. The majority of people who start their own business use their personal cell number as their business line. In theory, it makes sense. It's a direct line to the head of the company and you have it on your person at all times. The problems start to arise when you have important calls that you miss because you're in meetings or mid-flight travelling to another city. These types of issues can actually halt the growth of your company. With virtual office telephone answering services you will never have to worry about missing a phone call again. If you don't have an office of your own it can be rough when you need to meet with potential clients. You constantly need to scramble to find a coffee shop that is in a convenient location for all parties and then cross your fingers and hope it's not busy when you get there. The dedicated meeting rooms that are offered by a virtual office provide a great place in the heart of most major cities to meet with any potential client or business partner. These are prestigious locations with luxurious meeting rooms that are sure to make a great impression. When first becoming incorporated you are always required to provide a registered address for your business. Most start-ups use a PO Box for this, making sure to keep their home and work addresses separate from each other. Unfortunately one of the biggest downfalls of doing this is that PO Boxes cannot have packages sent to them and they cannot accept any mail that requires somebody to sign for it. With a dedicated address at a virtual office there will always be somebody there to sign for your mail and packages. Then you can have this mail either forwarded to your home or held for you until you can conveniently pick it up. We have made sure to make our services extremely affordable so that they can be used by any business regardless of size. For the convenience of smaller companies our all-in-one packages contain all of our most popular services. This way, start-up businesses can receive all of the advantages of a larger corporation. If you need more information about the services we offer feel free to look around the site or contact us for a one-on-one consultation so we can give you a better idea of what we can do to assist you. Do you travel for business and need a lot of flexibility in your time schedule, in your workload, and in your commitments to clients? For a person who is on the go most of the time, and for a person who needs flexibility in all facets of their business and their personal life, a virtual office may very well be one of the best opportunities available. Here are a few reasons why using a virtual office and its various services can improve an outside salesperson's overall productivity. Outside sales demand a lot from a person, and frankly, there is only so much that one person can do on their own. Virtual office services, such as office spaces and professional answering services, can help a salesperson to make more efficient use of their valuable time while leaving particular details to other highly trained professionals. Due to reasonable virtual office rates, outside salespeople can truly improve their productivity without interrupting their bottom line. Virtual office services, such as telephone answering services, are the responsibility of highly skilled, trained, and professional individuals. These professional receptionists are trained specifically to meet the needs of outside salespeople. This quality assurance makes it so that clients are afforded the most professionalism possible for their dollar. By leaving telephone answering to the pros, salespeople can invest more of their time generating more sales, closing more deals, and meeting with more clients. Sometimes, a person simply needs to meet with a prospective client in a location that is more professional than a coffee shop. Some clients require more jazz than others, and a virtual office can give you a physical address to portray that classy image to the best of the best of clients. A physical virtual office address can be used as a mailing address so that it appears as though a salesperson has a concrete business location in the heart of a major city, for example. This can be highly beneficial when working remotely. A virtual office space comes prepared with all of the office tools and essentials. This can result in major gains in productivity, especially for an every-busy salesperson. With all the necessary tools available, an outside salesperson doesn't need to worry about preparing an office, setting up the coffee table, or bringing supplies to the office. This can be a realistically large time savings for busy sales professionals. Furthermore, when a person balances the cost of renting a virtual office, compared to renting a traditional office space, the savings potential is gigantic. The fact of the matter is that leasing a virtual office is highly cost-effective. Every outside salesperson can benefit from more time, and without compromising high quality business services. For a salesperson that is seeking flexibility in their schedule, professional services without worry, as well as a classy and professional image, then a virtual office can be the best solution.